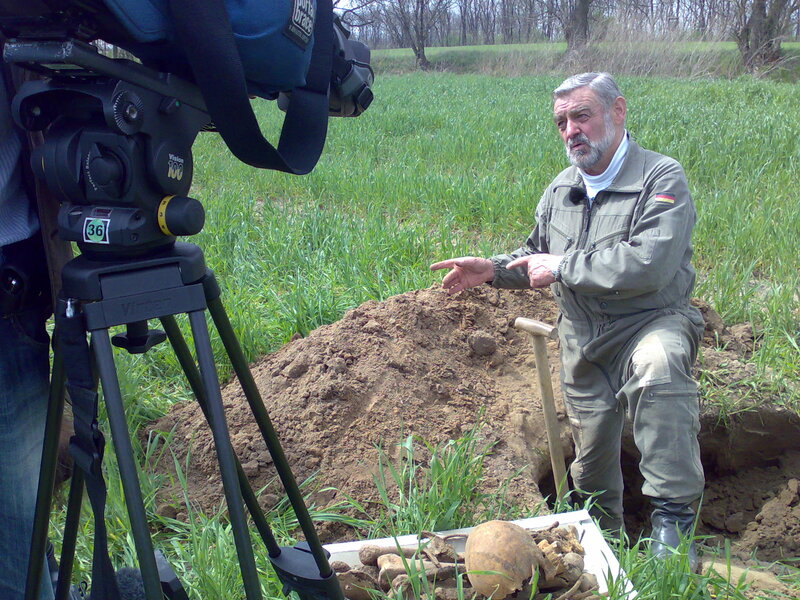 This 69 year old man found the remains of two Red Army soldiers while we were filming him. 30 years of experience, a lot of excavations in the East German fields – Erwin Kowalke really knows the subject. They found the place earlier with some equipment and waited for us. He was digging just for 15 min and then took from the depth of half a meter a bone, another one, then a scull. It’s hard to retell what you are feeling at this moment. He confidently talked about Russians even though there were no documents or Red Stars there. He immediately recognized that the belt wasn’t a German one but one can take a belt from the enemy. 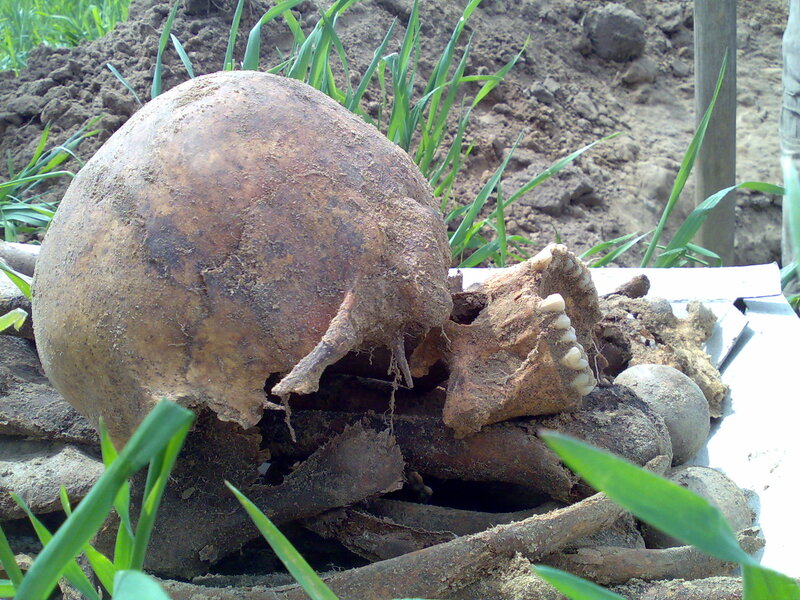 It’s easy to understand whether remains of WWII soldiers belong to Russians, he said. The clue is their teeth (I would never guess!). “I can tell you: Russians had healthy teeth but slightly ground off. This was a young man, 20-25 years old, the teeth are young, can you see it? This jaw belonged to a Russian, I dug a lot, I am sure of it. Germans ate white bread, sugar, honey, all this worsens teeth so at that age Germans already had their teeth filled. Russians might lack one or two teeth but others were healthy”. I know little about the social composition of the Red Army. But probably it was recruited mainly from the peasants as the population was rural. And those soldiers hardly had fillings in their teeth. In other words, healthy nutrition.